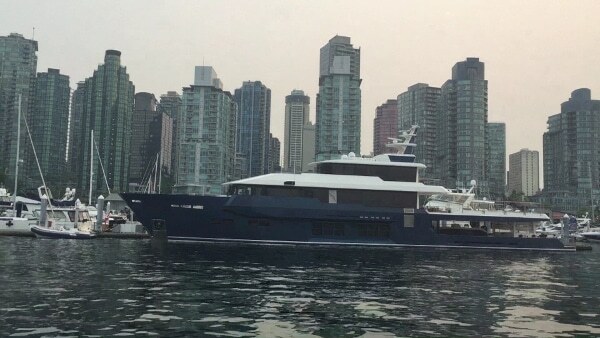 The Pacific Yacht is one of the nicer harbor cruise yachts that can be hired out for events in Vancouver. The yacht is moored at the Westin Bayshore docks right off the seaside promenade that runs along the Vancouver waterfront . The yacht can accommodate a little over 100 guests but for the exact number, contact the booking site by clicking on Pacific Yacht. The yacht is easy to board with a wide, carpeted ramp to the dock and a small ramp into the yacht. Very convenient for wheel chair bound guests and for any vendors loading equipment on to the yacht. The dock is a very stable concrete dock and not at all wobbly as is the case of some harbor cruise docks. 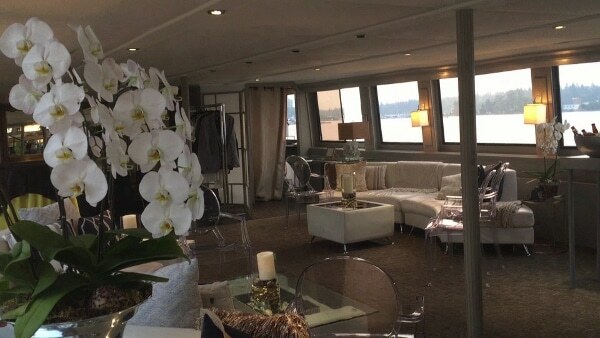 The inside of the yacht is quite nice. The lower deck has a layout than can be changed around to suit your event and the upper deck is often where dinner is served. This also can be reinvented according to your requirements. There is a third deck for open air viewing of the sights on your cruise. The stairwell leading to the second deck is of a good size with a gradual curve and no tight corners. 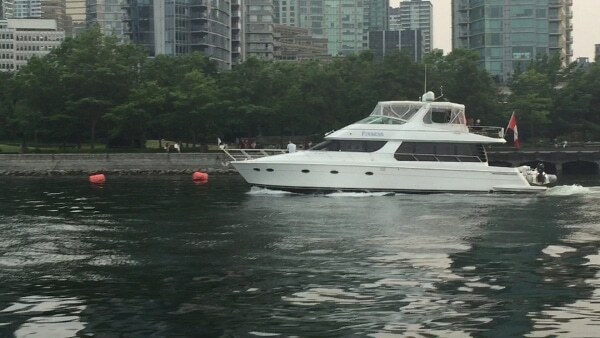 Unfortunately, there is no elevator on the yacht so access to the upper decks and to the washroom on the lower deck is not easy for mobility challenged guests. 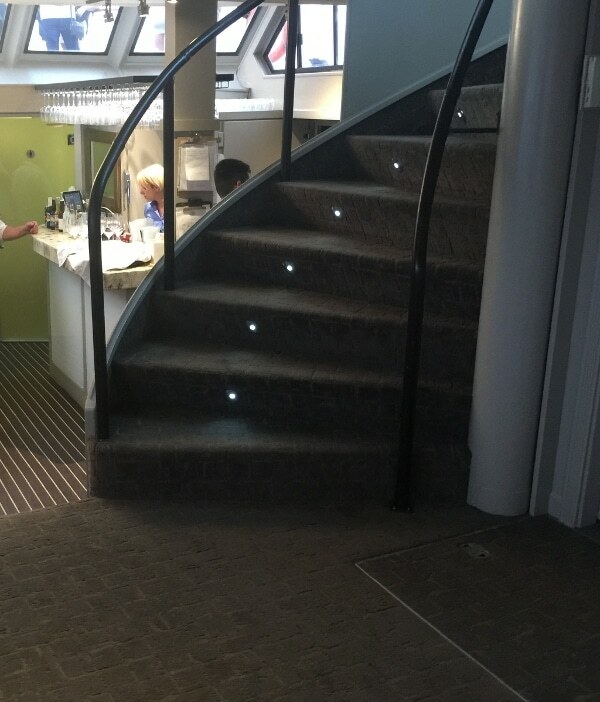 Access to the bathrooms and bar on the lower deck require a three step down stairway. The yacht can do different routes on the cruise but normally starts out going by some million dollar yachts and the park. 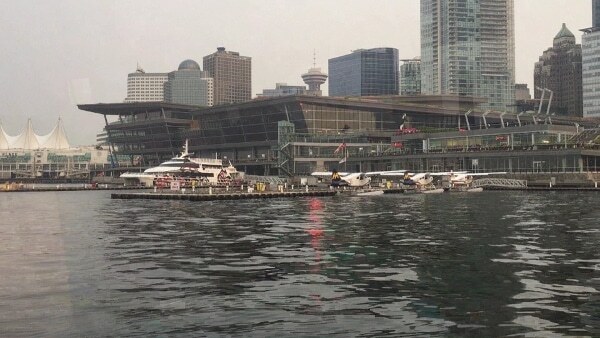 It will the cruise by the park, seaplanes at the conference center, the high-speed jet catamaran ferry and head towards the light house passing by Canada Place. 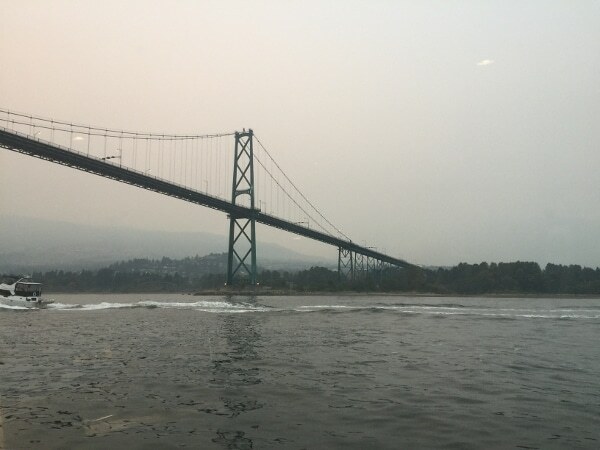 There are any number of sights to see on the cruise including Stanley Park, the Lions Gate Bridge and, in our case, the fireworks competition held every year with entrants from many different countries. 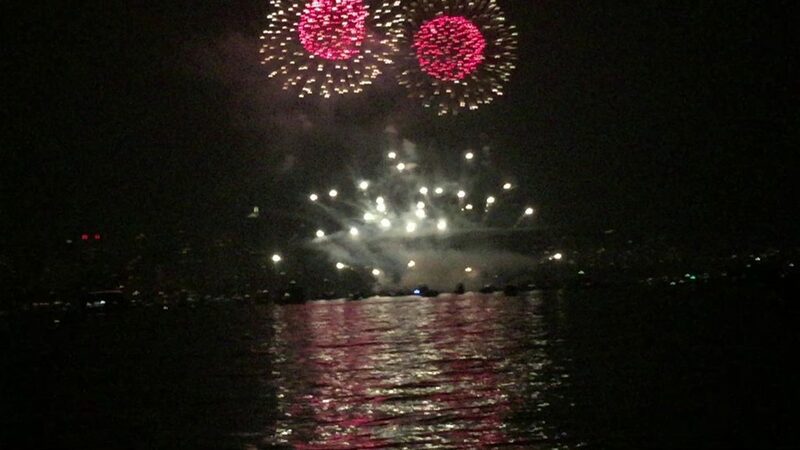 The Pacific Yacht is a great way to cruise the harbor, or beyond, for your event. Staff are friendly and helpful, meals can include a full sit down dinner cooked aboard the yacht or just hors d’oeuvres served by the efficient staff. I give The Pacific Yacht a 4.8 out of 5 stars. 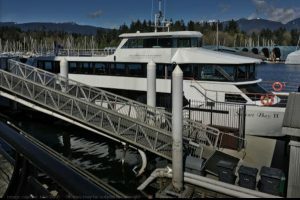 As is most likely the case with all the harbor cruises in Vancouver, there are no elevators to get to the upper decks making it difficult for wheelchair bound guests and your vendors to get equipment to the upper decks.